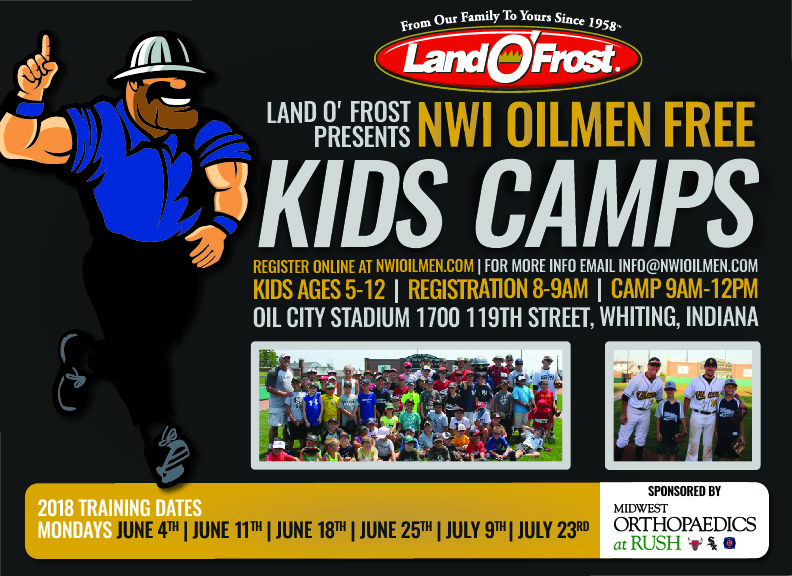 All Northwest Indiana Oilmen Kids Camps are 100% FREE on six Mondays during June and July. 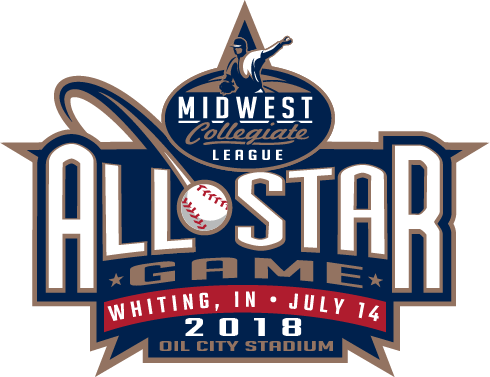 The camps will be conducted at Oil City Stadium 1700 119th Street, Whiting Indiana. Each camp is designed to be “FUN” and Interactive! Our Manager, coaching staff, and players teach the fundamentals of the game to the campers from 9 am to 12n. There will be a camp photo and get autographs of the players and coaches after camp. The age of our Campers range between 5-12 years old and we break the campers up into different groups depending on the age ranges of the campers and we tailor the drills to their ages. Every camp is designed with the same format and stresses the basics of the game, the FUN-damentals. You can sign up for one or all six. All campers need a glove (with their name on it), baseball pants or shorts, t-shirt, molded baseball shoes or gym shoes, a baseball cap, and sunscreen. Pre-Registration is online, Check-in begins at 8 am and camp starts at 9 am.